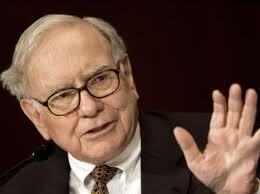 I've been a Warren Buffett fan for a couple of years now. Heads of State seek him out for advice, and financial institutions hang on to his every word while wondering, "What Would Warren Do.. Next?" But despite his stature as one of the three richest men in the world, the Oracle of Omaha, who will be 81 this August 30th, maintains a sense of quiet humility. “There’s a whole bunch of things I don’t know a thing about. I just stay away from those. I stay within what I call my circle of competence." "Beware of geeks bearing formulas." "I don't look to jump over 7-foot bars: I look around for 1-foot bars that I can step over." "Should you find yourself in a chronically leaking boat, energy devoted to changing vessels is likely to be more productive than energy devoted to patching leaks." "There seems to be some perverse human characteristic that likes to make easy things difficult." "Why not invest your assets in the companies you really like? As Mae West said, "Too much of a good thing can be wonderful."" "I buy expensive suits. They just look cheap on me."